Our role as kitchen designers is not quite what you may think; it’s less high-end design and more about asking the right kind of questions and then listening very carefully to the answers. Each and every kitchen we design is unique for one simple reason; the needs and wants of each and every one of our clients is unique. The primary expertise we offer is a thorough understanding of the products we sell and the best way they can be used to achieve our client’s goals. Like most things to do with kitchens, the design process is different every time. You may want a high level of input with your design, or you may want us to take the lead and inspire you, either way we hope you’ll enjoy the process of working with us. There’s a whole world of kitchens out there and we would love to guide you through it. For some their new kitchen will be years in the making, from the first initial thoughts to making the final decisions on taps and worktops. Each and every kitchen tells a different story and each and every kitchen starts with the design. The first thing we advise our potential clients to do is to visit our showroom in Uckfield. Here you can see, touch and play with a selection of designs, samples and storage ideas to help get you into a kitchen state of mind. 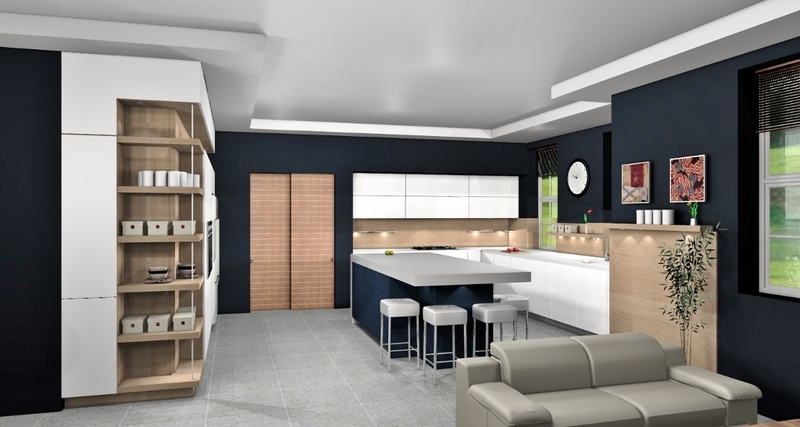 Our aim is to show you what is possible with the type of German kitchens we sell. It’s an introduction to our products and just as importantly our work as designers. We worked hard to create a space that gives people the best chance to see exactly what one of our kitchens would be like in their home. 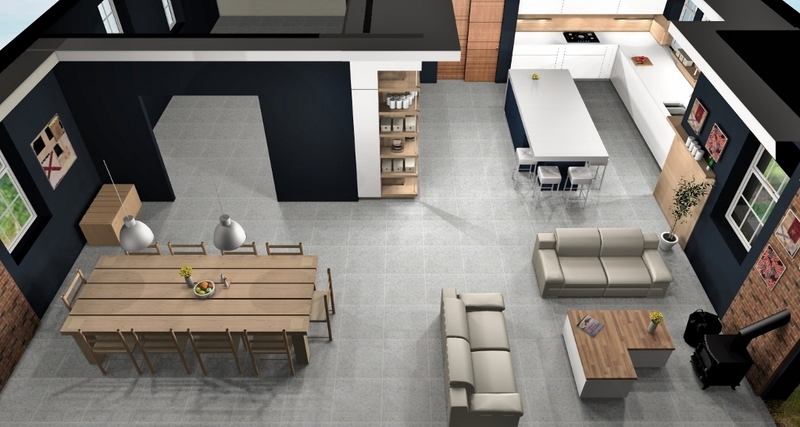 To achieve a design that works functionally, visually and within your budget we need to get to know what you really want from your new kitchen. This means we need to understand everything from the types and styles you like to the appliances you want right through to the budget we are working to. This process evolves in many ways depending on the situation. 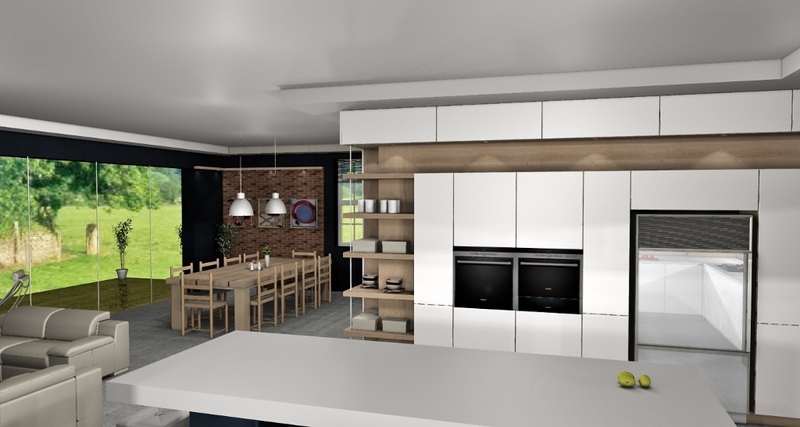 Sometimes we are involved before the house has even been built, it’s not so much a case of designing a kitchen to fit in the house, it’s more a case of designing the house to accommodate the kitchen. Working with people at the very beginning of the process offers us a chance to ensure the space they are planning to build will work to house the layout they ultimately want. Maybe it’s a large island or built in American refrigeration, there are some things that are well worth considering at the very earliest opportunity. As kitchen designers the single most important thing we do is listen. It’s more complicated than simply running through a questionnaire, sure there are some Yes/No questions but more often it’s about reading between the lines. 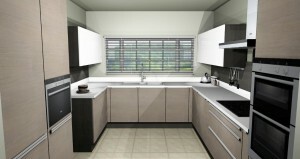 Kitchens are complicated things, designing them and utilising the technologies available effectively takes some doing. Ultimately to get it right it’s a question of listening, suggesting and then listening some more. All we can do is present ideas that best reflect what we hear and then continue to refine those ideas until we get it right. How long this process takes is different every time too. Sometimes we get it right straight away but more often than not an initial design will undergo a number of revisions and amendments before our customers are completely happy. The same basic kitchen layout can be transformed with intelligent use of lighting, panelling and framing. By understanding how the various surfaces and finishes will interact with one another even the smallest space can be bought to life. Our aim is that you will love your kitchen over the years to come. We want you to have a kitchen that works as efficiently as it can in exactly the way you want it to. We want both the design and the structural integrity of your kitchens to be as good 5 years down the road as it is in on the final day of installation. 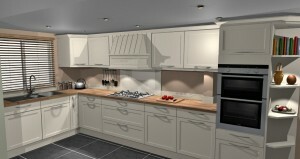 So when you are ready to bring your new kitchen to life come in and see us and we’ll get started on the designs.